Cruise Holidays is Your Cruise Vacation Store! Founded in 1984, Cruise Holidays is North America’s oldest and largest cruise-specialty retail franchise with locations throughout the United States and Canada. As our name suggests, our retail travel stores specialize in cruise travel, providing unparalleled expertise in matching clients with the cruise ships and destinations that are right for them. 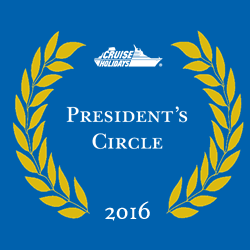 Cruise Holidays is one of the franchise brands within Travel Leaders Leisure Group, Inc, one of the world’s largest and most respected travel franchisors. Based in Minneapolis, MN, Travel Leaders Leisure Group, Inc. is part of Travel Leaders Group, Inc.
Because of the size of the Cruise Holidays network, the proven expertise of its owners and agents and the unparalleled strength of its industry connections, Cruise Holidays is considered by many of the world’s best cruise lines and travel suppliers to be a distribution system of choice. As a result, Cruise Holidays can offer its clients an amazing array of cruise vacations at highly competitive prices. And since Cruise Holidays agents can arrange travel on any cruise line in the world, the list of destinations seems endless. Although Cruise Holidays stores and their agents focus on cruise travel, the network’s service doesn’t stop there. Cruise Holidays can also provide travelers with pre- and post-cruise travel arrangements and options like hotel packages, shore excursions and tours – all at competitive prices.